Wow, cool exhibits are in Cascadia! From Vancouver, BC to Portland, Oregon, here are my picks for the very best fall exhibits in science, art, history and children’s museums. Most end in January or February, so visit before the exhibits pack up and roll down the highway to the next town. Pacific Science Center, Seattle; October 23, 2010 – January 30, 2011. This hands-on exhibit is a dream come true for Harry fans: A walk through Harry’s world. View the movie’s costumes and props, try pulling a mandrake from a pot, sit in Hagrid’s leather chair and toss a Quaffle. Online ticket purchase options include daytime visits, daytime visits with a movie and evening visits (weekends only); PacSci membership does NOT get you into this special exhibit. My kid cannot wait to go and is incessantly nagging me to buy tickets. OMSI, Portland; Sept 25, 2010 -February 6, 2011.
Who are you? Explore the meaning of identity through your physical, intellectual and social landscape. Age your face, morph your photo into a different gender or identity, discover whether you have a “male” or “female” brain and find out which social groups you think you fit into. 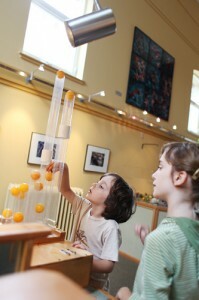 Portland Children’s Museum; October 8, 2010-January 4, 2011. 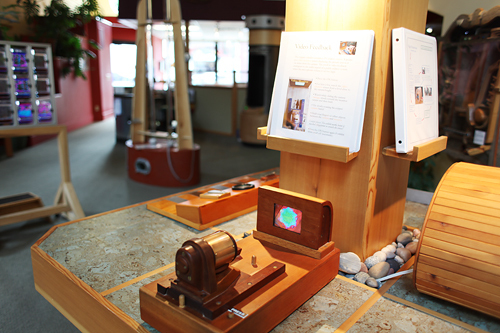 This exhibit brings tinkering to a brand new level. Use a 3D touch screen to plan your Tinkertoy designs, play with the “Tinker Tank,” a giant canister modeled on the instantly recognizable container and create a work of wonder with thousands of rods, spokes and fins. Science World, Vancouver; September 19, 2010-January 2011. Plastinized body parts – brains, lungs, hearts, feet and everything in between – are displayed at this Halloween-ready exhibit. These are real body parts, not replicas, so you’ll see the effects of diet and exercise on health. In one area of the exhibit, visitors can touch plastinized body parts. You do it and tell me all about it, because I’m not gonna. Tickets are extra, and cost $26 for adults and $13 for children. If you’re living with a budding tween fashionista who insists she hates museum visits, you may want to bring her to this girly exhibit. Developed from a private collection of over 3,000 purses (and no, it wasn’t Paris Hilton), from a flapper’s beaded handbag to a contemporary pony-print purse.